A stoneware bowl, the steeply sloping sides rising from the short, slightly splayed foot towards a flared rim, which has an indented lip. 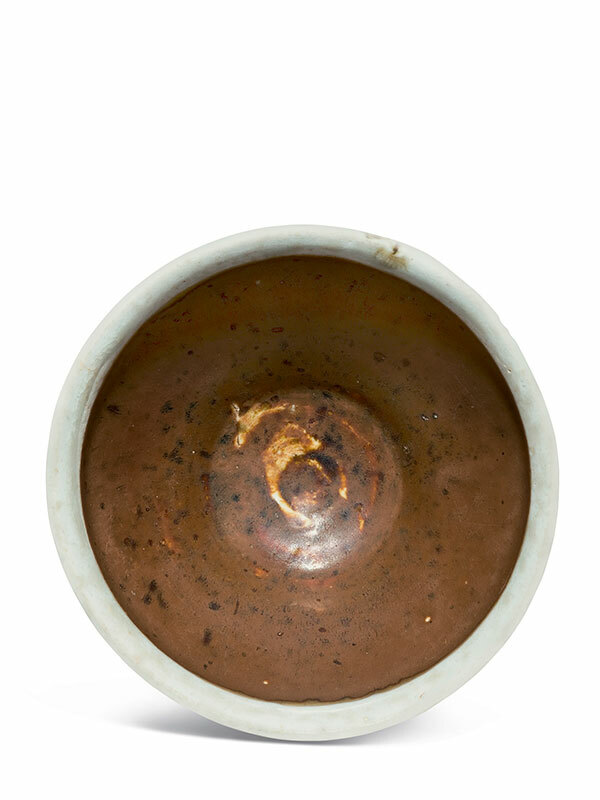 A brown glaze covers the interior and the exterior of the bowl, where it stops in an uneven line around the body. A layer of white glaze covers the rim and trickles down in places, and forms a layer of olive-green colour effect on the body. The unglazed part of the bowl shows the dense, fine-grained, porcelain like body. The unusual technique of applying a layer of white glaze around the rim was relatively more popular in the northern part of China in the Song dynasty. 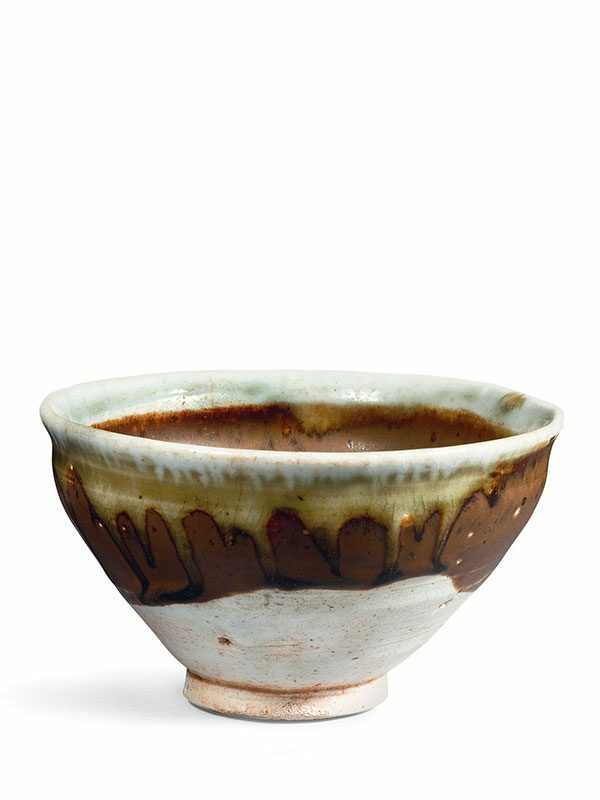 Although more known examples are attributed to the Cizhou-type, the present bowl, with its coffee-brown glaze and dense porcelain-like body, was probably produced in the Nanfeng kiln in Jiangxi province, which was also well known for its qingbai products. A Nanfeng-type bowl of closely comparable shape, glaze and porcelain-like body, dated to the Southern Song dynasty, the 12th or 13th century, is in the Shatzman collection at the Ackland Art Museum at Chapel Hill. Another comparable stoneware bowl with black glaze and white rim, painted with floral motifs in gold and silver pastes on the interior, was unearthed from Yukuang commune, Guixi county in 1963 and is now in the Jiangxi Museum. A further comparable black glazed bowl with white rim, of similar size and dated to the Song dynasty, is in the collection of the Palace Museum, Beijing.